St. Hubert is a McKnight doctoral fellow in the Department of History at the University of Miami. Her dissertation will be on Haiti and cultural representation. Jean Price-Mars (1876-1969) was a medical doctor, teacher, and statesman. However, he is most remembered as a writer who contributed to the Indigéniste movement. Indigénisme, a literary movement, was launched in the late 1920s in direct response to the United States occupation of Haiti. 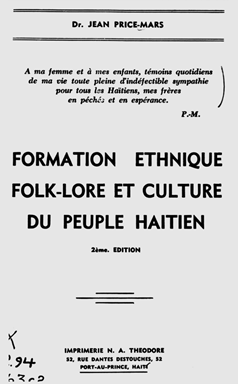 The movement called for the creation of an "indigenous" Haitian literature. But it was Price-Mars’s 1928 publication of Ainsi parla l’oncle (So Spoke the Uncle) that defined the movement. Ainsi parla l'oncle accused Haitian authors and the elite of collective bovaryism, meaning they saw themselves as someone other than they were. Haitian literature mimicked French literature and had yet to find its "indigenous" Haitian soul. Price-Mars believed that if the elites continued to see themselves as "colored Frenchmen," the literature they created would suffer and be seen as an imitation. Price-Mars introduced this critique in La Vocation de l’élite (1919). He argued that after a "laborious period of imitation [Haitian] literature began to find its original note in the depth of [Haiti's] mores as well as in the landscape of the country" (p. 185). Ainsi parla l’oncle, a study of Haiti’s peasants, valorized the African roots in Haitian culture. 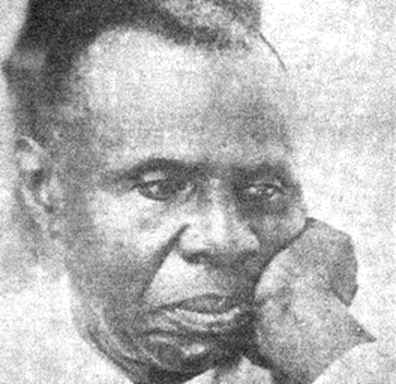 Price-Mars believed that the path to the creation of a national literature was in the folklore that Haiti inherited from Africa. Haitian folklore had a stock of oral traditions, legends, tales, songs, riddles, customs, observances, ceremonies, and beliefs that provide a personal imprint, or path to an original national culture. This path could also be found in the Kreyòl language spoken by the peasants and within Vodou, which Price-Mars accepted as a religion. Price-Mars was aware that many would object to his views on Vodou, but he stated that to condemn Vodou would be worse than an intellectual injustice, it would be a negation of intelligence.